Which cereal was responsible for bringing the Lone Ranger to television? 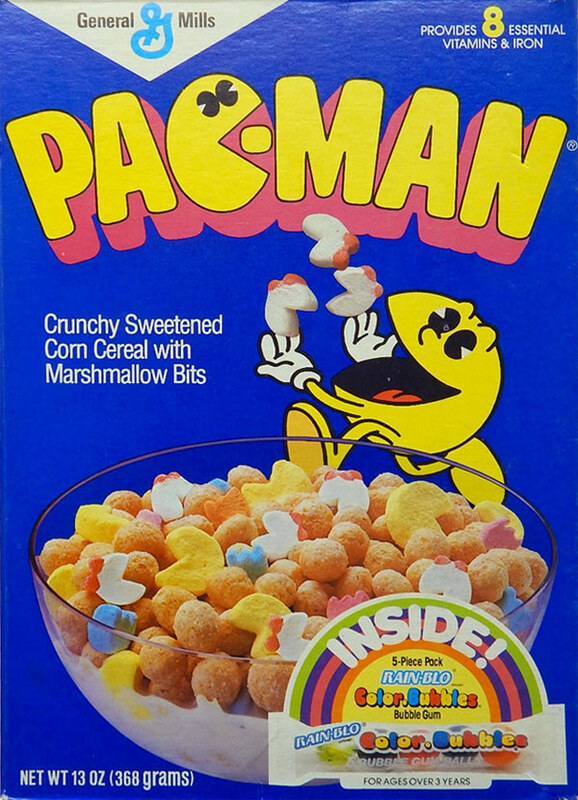 Pac-Man Cereal hit the shelves in 1983, capitalizing on the huge success of the arcade game Pac-Man which had taken America by storm the since it's introduction in 1980. The cereal was a "crunchy sweetened corn cereal with marshmallow bits". 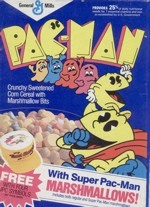 The marshmallows were shaped like Pac-Man, and the game's ghost characters: Blinky, Pinky, Inky and Clyde. 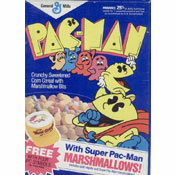 The cereal later introduced Ms. Pac-Man marshmallows with a "a shocking pink bow" and Super Pac-Man marshmallows which were just larger versions of existing Pac-Man marshmallows. Animated children eating the cereal in commercials referred to themselves as "ghost chompers". 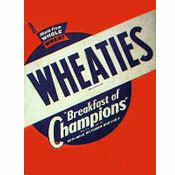 The cereal was said to taste like an extra-sugary version of Kix Cereal with marshmallows. Known premiums: Rain-Blo Color Bubbles Gum inside the package, send-away offers for a "Ghost Chomper" hat or Pac-Man game watch, entry details to win a full-sized Pac-Man arcade game or a mini electronic version of the game, a cut-out Pac-Man mobile, and send-away offers for a neon camera (Canada), a Pac-Man bowl or a Pac-Man ring. 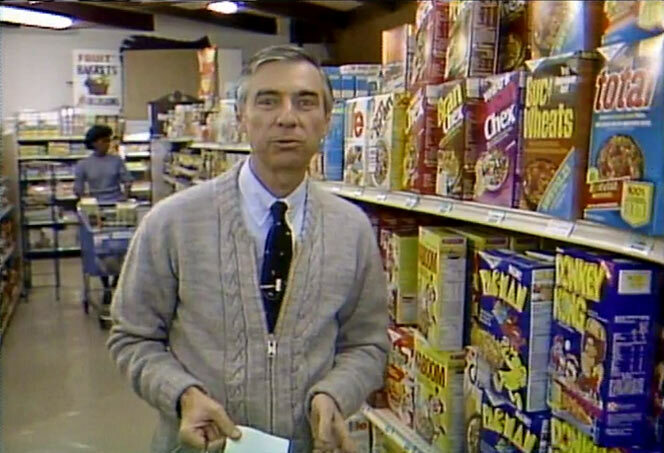 In a 1984 episode (#1529) of Mr. Rogers' Neighborhood, Mr. Rogers takes a trip down the cereal aisle where you can see Pac-Man cereal along with other discontinued favorites like Donkey Kong Cereal and Buc-Wheats. These are the most recent images. Click here to see all pictures for Pac-Man. What do you think of Pac-Man? View all 49 comments for this cereal. This was a yummy cereal. 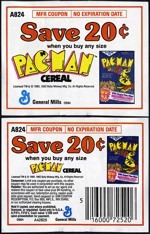 I grew up on this Pac-Man treat and will never forget it. Let us hope it comes back just to enjoy for a brief time and to collect the box lol. This is a top 5 cereal for me. LOVED this one. Just loved it. It was so good. PLEASE bring it BACK! Best Cereal of ALL time. Yes, this cereal was the best. 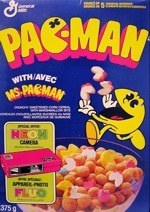 The cereals of the 80's were on another level. I would love it if we could also bring back Smurfs cereal with marshmallows. Tasted great and was fun! I want this back so bad! It must mean something if this is the cereal I looked up on the internet 30 years after I ate my last bite of them! Yes! Yes! Yes! Bring it back WITH the Ms. Pac-Man marshmallows! Please!